In a beautiful and moving Christmas Memorial Service, hosted by The Oaks Havant Crematorium on Saturday 10th December, families and friends gathered to pay tribute to their loved ones. Around 400 people attended the service at The Oaks, run by The Southern Co-operative, which included hymns, poems, readings, music performed by the Spirit in the South choir, and a stunning rendition of ‘Angels’ sung by Ellie Lomas. The service was officiated by Reverend Luke O’Maoil Mheana of St Michael and All Angels Church in Portsmouth, Reverend Carol Gully and The Very Reverend Paul Miles-Knight, who also provided time for personal reflection and a minute’s silence. 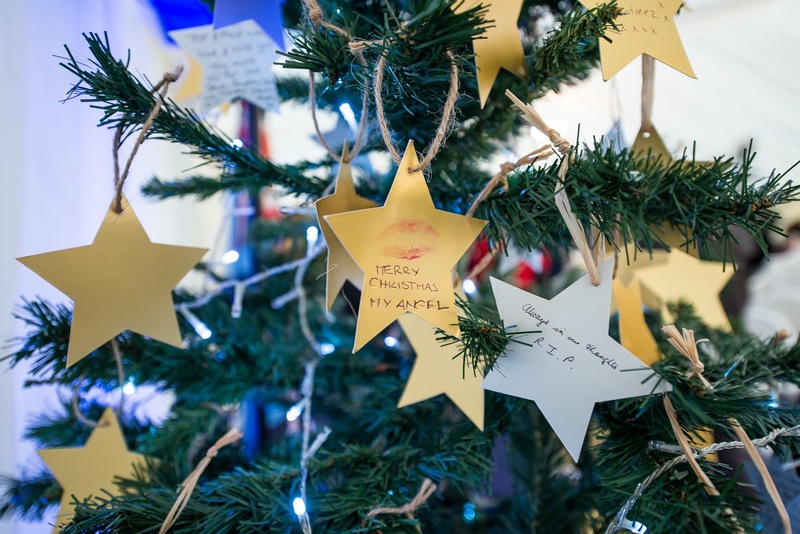 After the service, guests were invited to write a personal message on a star and place it on the Christmas Memorial Tree. After the service, guests were provided with hot drinks and mince pies, and donations were made to the Rowans Hospice. A total of £421 was raised and given to the Rowans Meerkat Service which provides specialist support to assist children and young people who have a significant adult (such as a parent or grandparent) with a life-limiting illness or who have been bereaved of an adult close to them. Set in 8.5 acres, The Oaks Crematorium is surrounded by beautiful ancient semi-natural woodland and wildflower meadow, providing a picturesque setting for the Crematorium building which has been sensitively designed. As well as creating a space that is relevant for all cultures, ages and beliefs, it provides a tranquil sanctuary for the bereaved, inspired by its natural setting.